As a company, you’re fully aware of the fact that if you don’t ship your orders on time, then you’re going to deal with a lot of cancellations, angry customers and also chargebacks. These are all scenarios that no business would ever like to deal with and if you would like to protect yourself against them, then make sure to follow the tips below. By doing so, you’ll never have to worry about receiving complaints from customers that their items were shipped late. 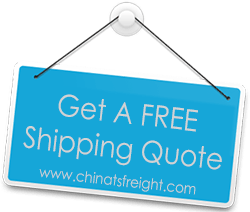 Make sure that you automate the shipping process as much as possible. In this regard, you should also have personnel that is very timely with order deliveries. After all, you may have a really good action plan on how to never ship items late, but if you don’t have the personnel to help you with that, then it’s all for nothing. Secondly, you should also inform your customers about when their orders are going to be shipped and don’t forget to offer them multiple shipping options, based on what items they order and how fast they want it to be shipped. You’re probably wondering what the H tape method is. Well, this is basically a way to apply tape to a package so that it won’t open up in transit. The way it works is that you’ll need to consider applying tapes along all the open seams when sealing the box. This is also applicable even if you have an odd shaped box. However, based on what you may be shipping, in some cases it’s better that you use tubes. Shipping a box within a box is very much recommended, especially when you plan on shipping very fragile items. First of all, you’ll need to properly cushion the item that you want to ship and then place it in a box. Make sure that there’s enough cushioning around the item in the box as well, to prevent it from moving while in transit. Next, get a second box and put the first box in it. Again, you need to have cushioning around it. After that, all you need to do is get some tape and tape the box properly. As you can see, these are just a few tips you can use in order to ship your items safely to the destination of your choice. Good luck!